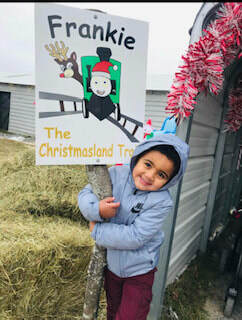 Meet Frankie the Christmas Land Train! 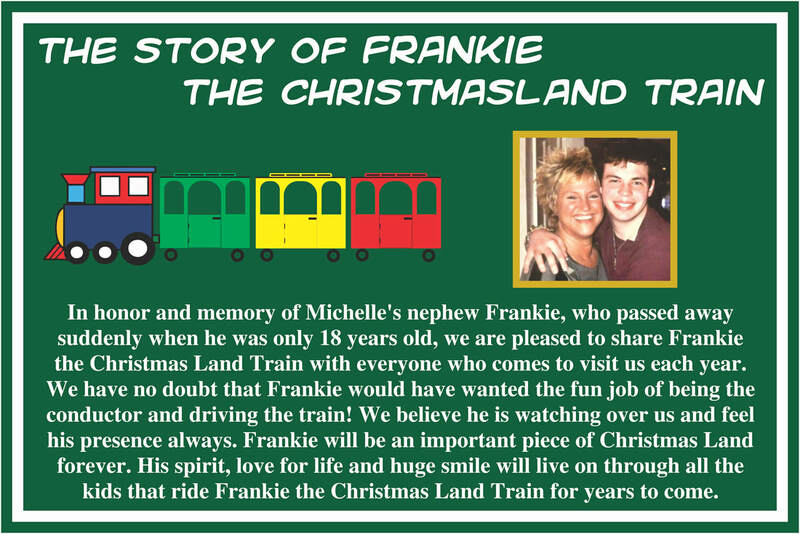 In honor & memory of Michelle's nephew Frankie, who passed when he was only 18 years old, we are pleased to share Frankie the Christmas Land Train with everyone who comes to visit us each year. Frankie will be an important piece of Christmas Land forever. 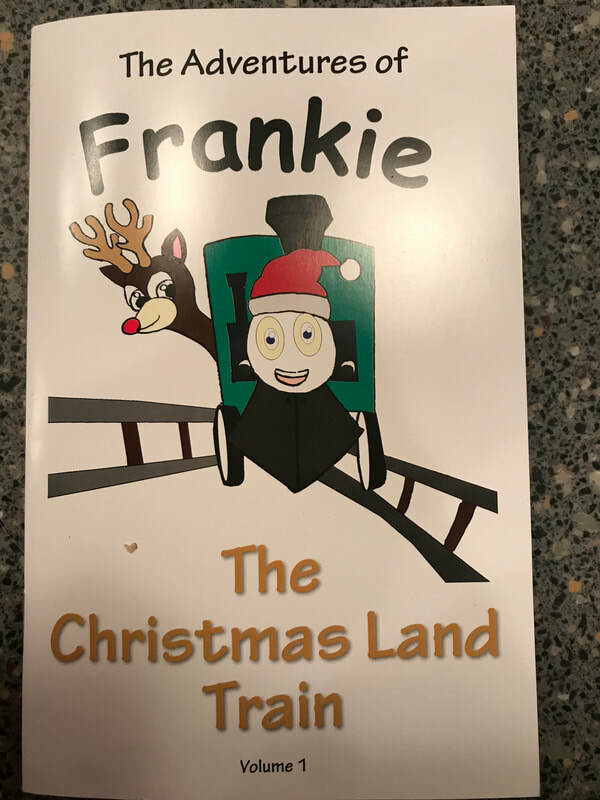 His spirit, love for life and huge smile will live on through all the kids that ride Frankie the Christmas Land Train for years to come. 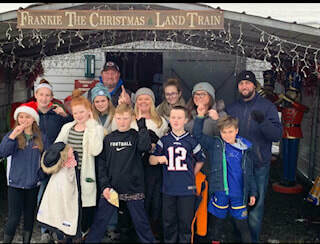 Read the Daily Gazette article about Frankie the Christmas Land Train! Thank you to the Daily Gazette for helping us spread Christmas Land Joy. We are excited to say that all proceeds will go to local children’s charities allowing us to give to those in need all year not just at Christmas!